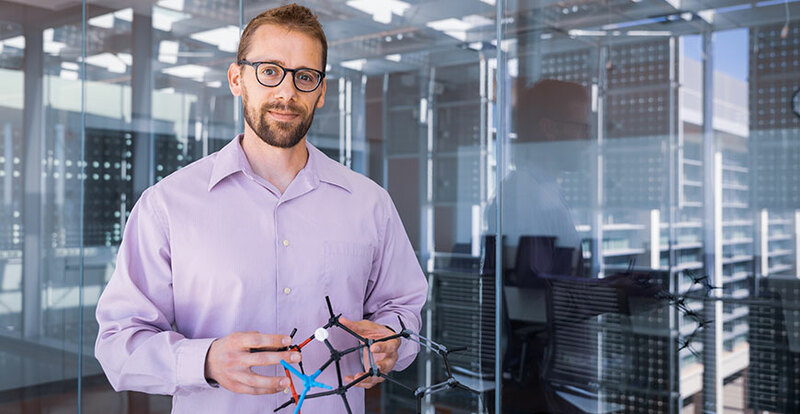 “Many of the structures that can be accessed via radical chemistry are found in drugs, vitamins, materials and polymers, so new strategies for radical initiation might have positive effects on many scientific fields that directly benefit society,” said Baxter, who joined the School of Natural Sciences five years ago. Baxter will use the results of the studies he and his lab conduct to develop educational materials for undergraduate organic chemistry laboratory and lecture courses that can be made available to educators across the nation. Professor Anne Myers Kelley, chair of the Chemistry and Chemical Biology Department, praised Baxter for building “a very strong and innovative research program in organic chemistry here at UC Merced. “He is also proving to be a skillful and effective instructor. I am very pleased to see his work supported by the CAREER program, which is intended to recognize faculty who excel as both researchers and educators,” she said.